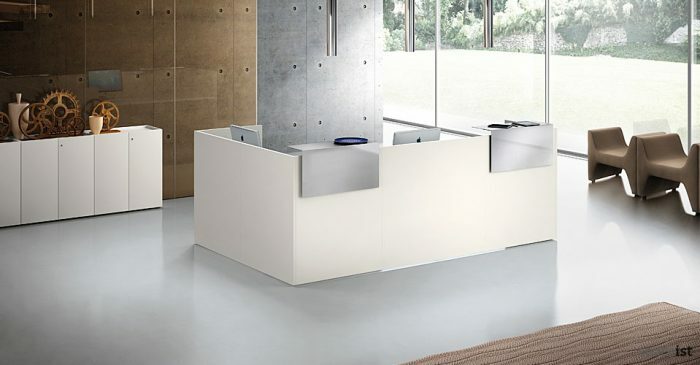 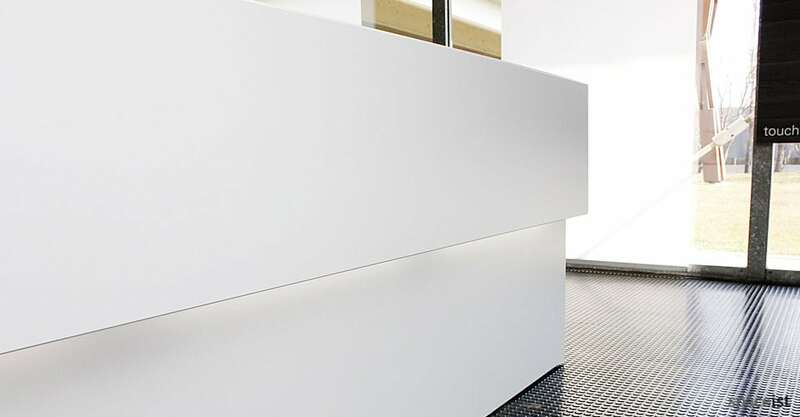 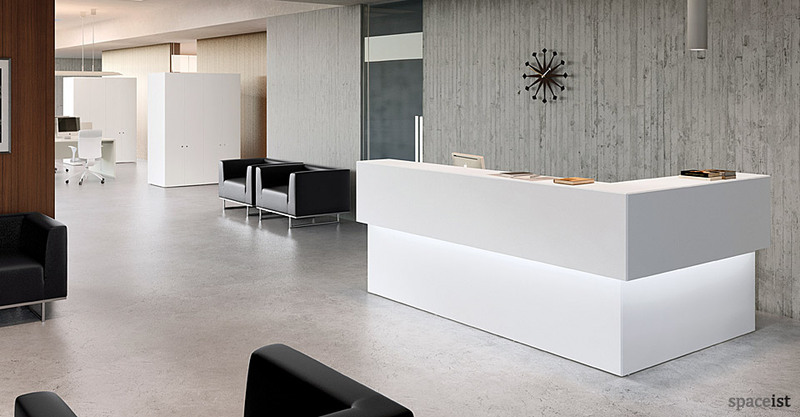 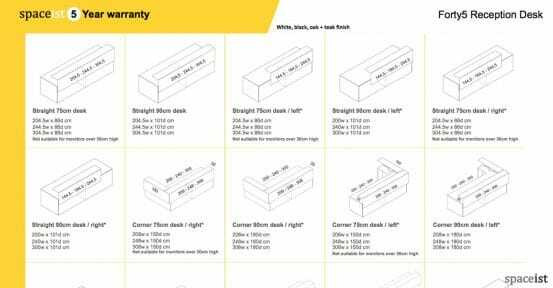 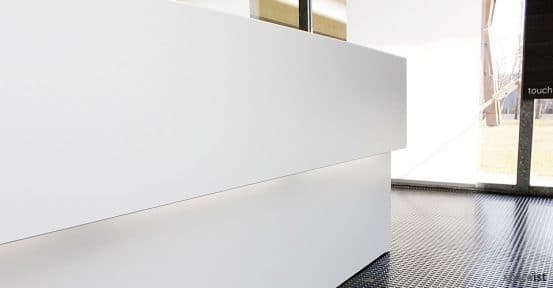 Categories: Corner reception desks, Reception Desks, White reception desks, Forty5 desk range, Forty5 reception desk range, Reception ranges. 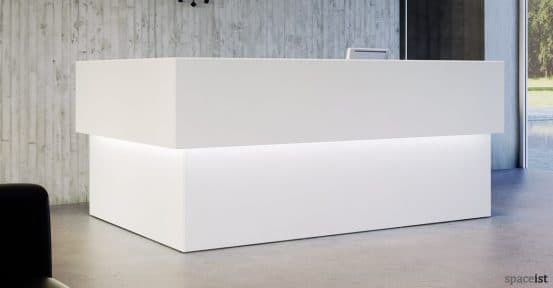 New corner reception counter with tops and edges angled at 45°. 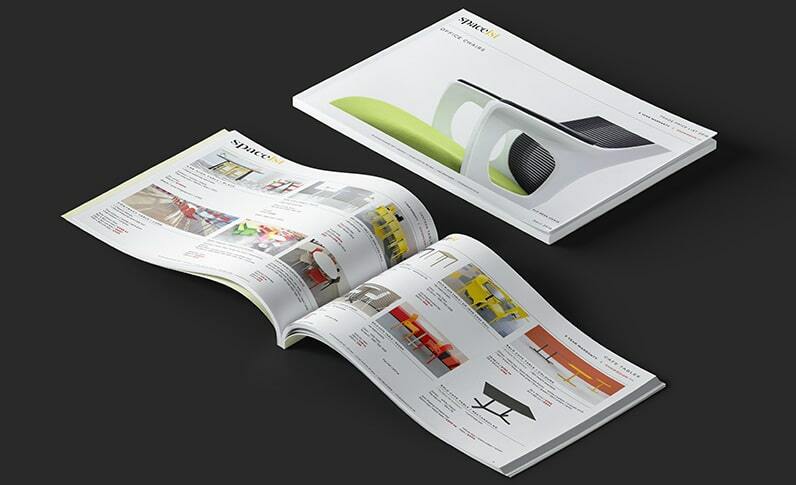 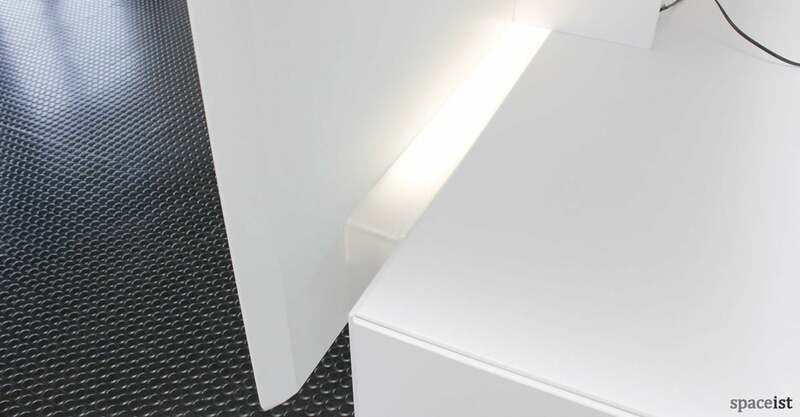 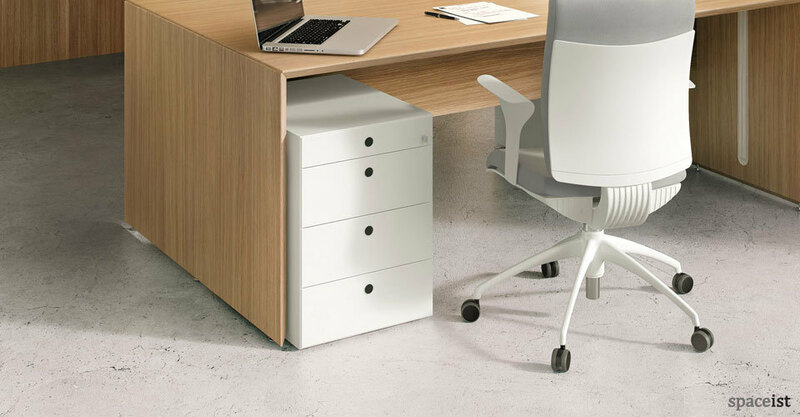 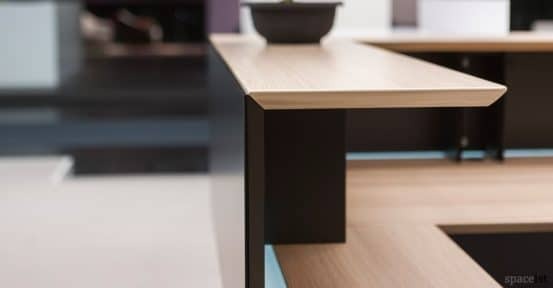 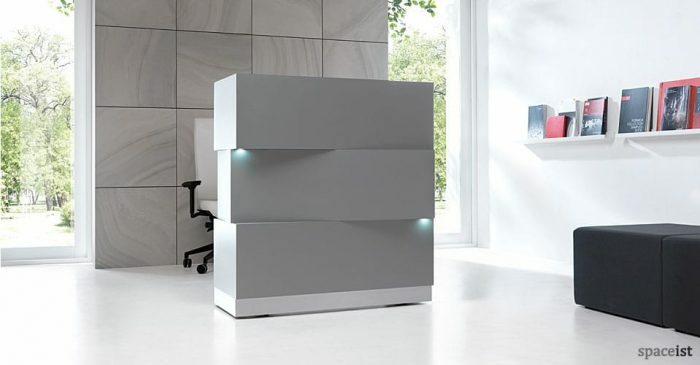 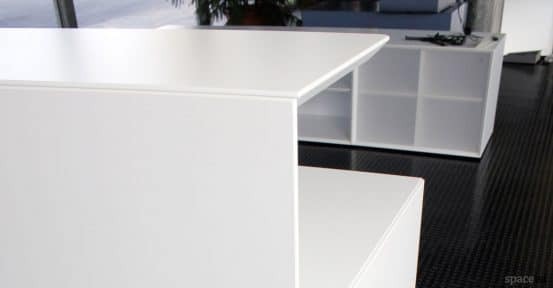 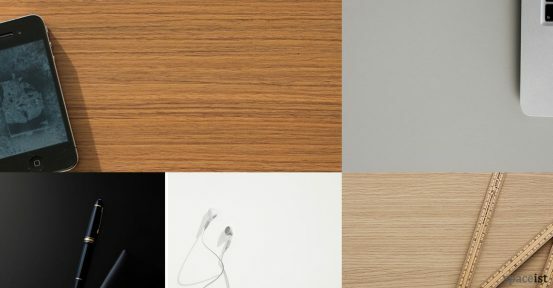 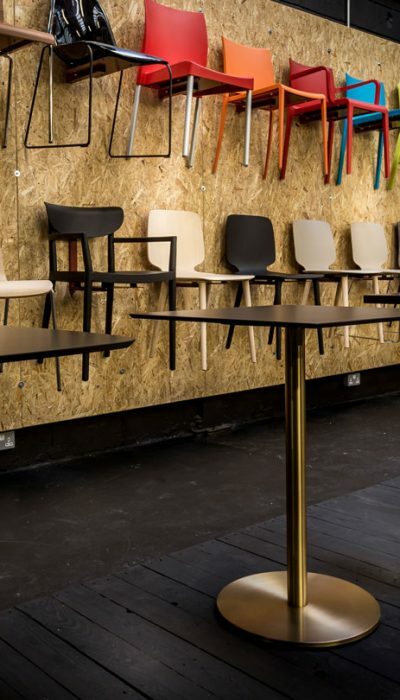 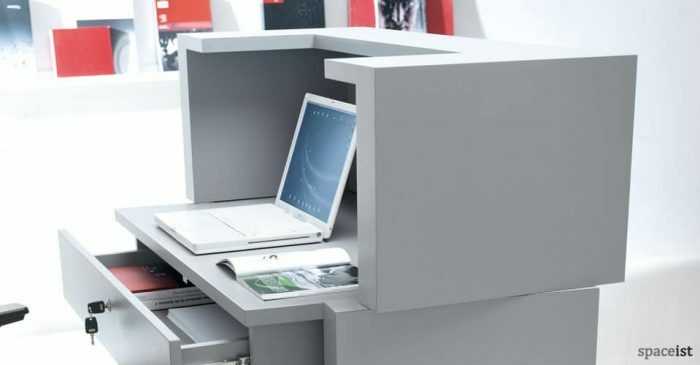 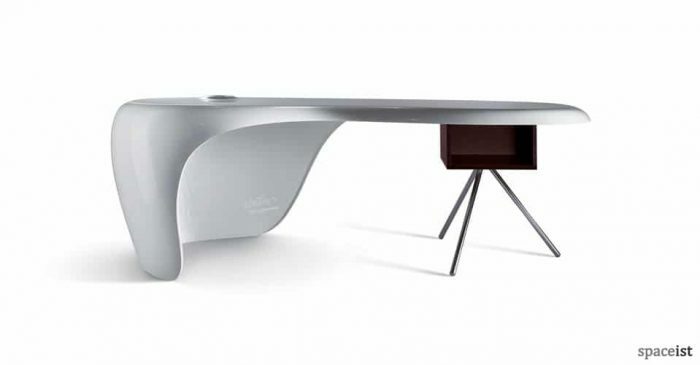 The range was created to offer a stylish desk solution with a left or right hand return. 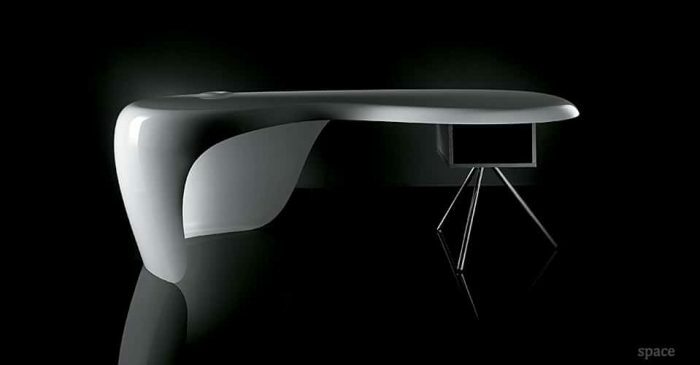 Based on simplicity and practicality. 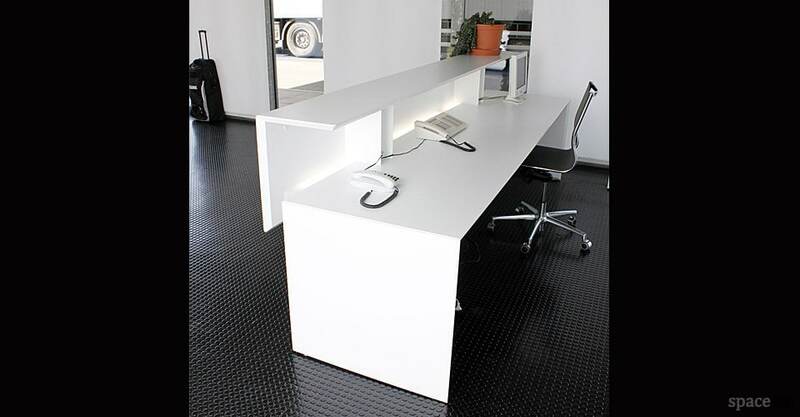 Comes with full cable management and LED down-light. The Forty5 range is also available as a single desk, an executive desk, studio style bench desk as well as meeting and conference tables.